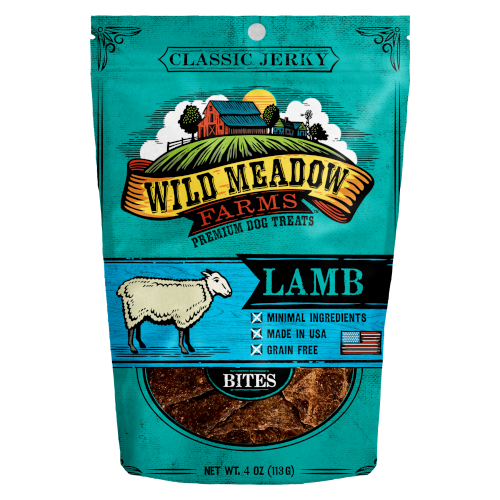 Our all-USA, Classic Jerky Lamb treats are made with high quality, minimal ingredients. They are the perfect high value treat for your dog, if your dog gets excited at the prospect of a delicious meat snack. If so, our Classic Jerky Bites are the perfect treat. 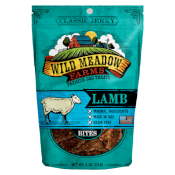 Our Wild Meadow Farms Classic Jerky Bites use the same recipes as our Classic Jerky Minis, but are crafted in a larger size that is great for everyday treating. They are also soft enough to tear into the perfect size for dogs of all ages and stages. Give your dog these high quality, meaty Classic Jerky Bites, and know that you are treating them right!